This tutorial will show how to enable a particular div (or any other tag) on a webpage to accept files that are dropped on them. We all have encountered websites that allow us to upload files (mostly images) to their servers by directly dragging the file from some application (mainly file explorer of the OS) to a desginated area on the web page. This a replacement of the good old <input type="file" /> elements inside forms. Drag and drop is an HTML5 standard. All of the modern browsers fully support drag and drop HTML5 API except IE (partially supported). 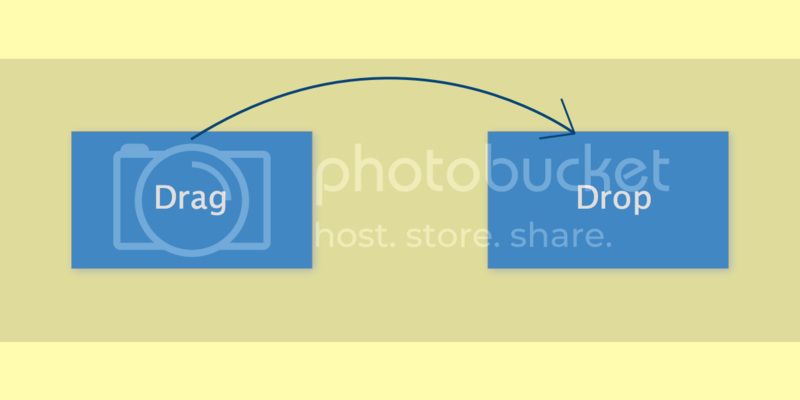 As Drag n Drop is a new feature, we will also implement a fallback method to add support to older browsers so that users can upload files regardless of drag and drop is supported by their browsers or not. We will create a function that will accept a DOM node and a callback function that is passed the list of files. The signature of the function will be makeDroppable(element, callback). We will first create an ‘input’ element of type file. Set its display to none so that it is not visible on the page. Append it to the element provided. This is to implement a fallback method in browsers that do not support drag n drop. This will also provide an additional functionality that the users can click the element to add files if they want, instead of drag n drop. Now, we will add listeners to the element. This event is called when files are being dragged over the element and are yet to be dropped. We call the event’s preventDefault method to prevent the browser from triggering its default behavior, i.e, it will try to open the file directly. We call stopPropagation method to prevent the event from bubbling up the DOM tree (this will prevent the triggering of dragover event of any of the parent of element). To add an effect to notify users that the element can accept files, we will add the class dragover to it that will have a slight different styling (like background color). This event is fired when something was being dragged on the element but has been taken out instead of being dropped. We call both the preventDefault and stopPropagation method as in dragover for the same reasons. To notify that the files being dragged has been removed, we remove the class that we added in the dragover event so that element can return to its initial styling. This event is fired when the files being dragged are finally dropped on the element. We call both the preventDefault and stopPropagation method as above. We will then remove the dragover class to return the element to its inital style. Now we call the triggerCallback function to handle the files. Since the input element that we previously created is hidden on the page, we will add click event to the element so that we can trigger the file chooser window to allow users to choose files by browsing their file explorer instead of dragging and dropping. We set the value of input to null. Then we call the input’s click method to open the file chooser. This function handles both the dropped files and the files selected through file chooser window. We first create a variable files that will have the list of files chosen and will be passed to the callback provided. Then we check if the event that called this function has a dataTransfer object or not. If it has, that means the files were selected by dropping them on element. We assign the e.dataTransfer.files to the files variable. If there is no dataTransfer object, that means the files were selected through the file chooser window. So we assign e.target.files to the files variable. Now we pass the files variable to the callback function provided. Create another class dragover that will override the background of .droppable. Upload the file list to the server through ajax call. Read the files on the browser itself using FileReader (a topic for another tutorial). The callback function that we defined earlier simply logs the FileList to console. We can modify that function to upload the dropped/selected files to the server.